Queensland Oztag is a not for profit sporting group. We would like to thank the following organisations for their support and sponsorship. Their support allows us to continue to deliver, grow and promote the game to our local communities. Please show your appreciation and follow our sponsors by clicking on the logos to view their products and services. 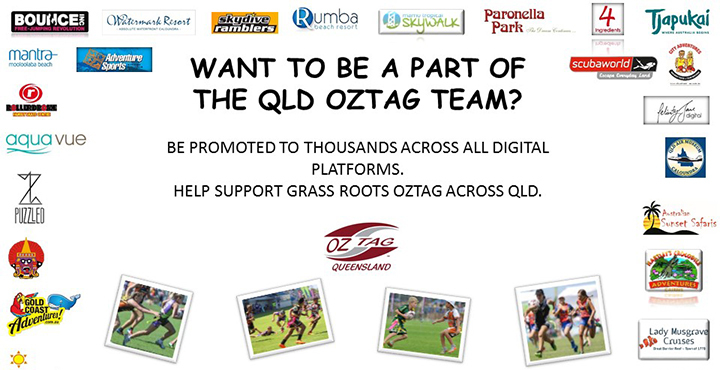 Queensland Oztag via email info@queenslandoztag.com.au or call the Head Office on 1300 4 OZTAG.